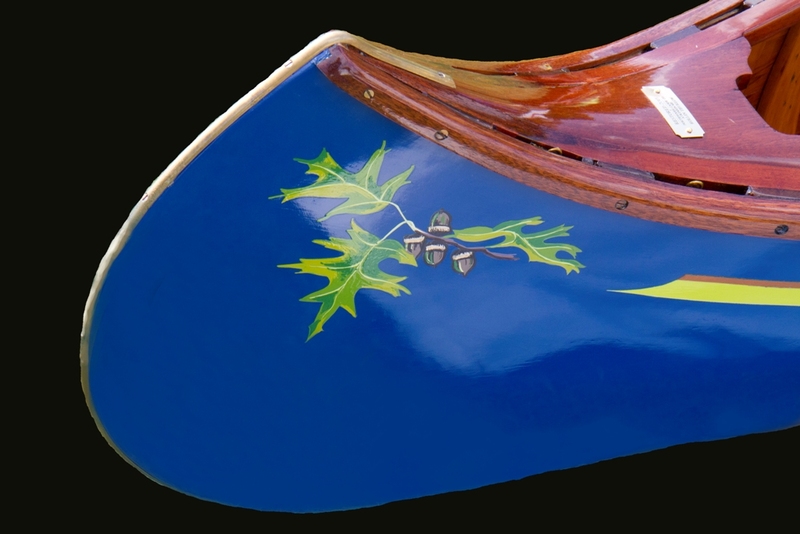 Many fancy canoes have “pretty” end profiles. 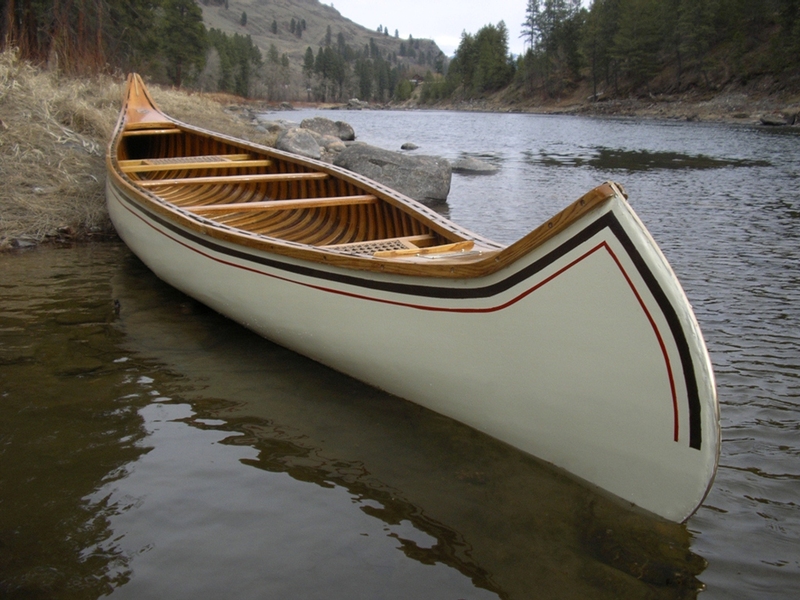 Canoes such as the Old Town HW, Yankee, Charles River and OTCA models are familiar examples along with those made by Kennebec, B.N. Morris and J.R. Robertson (to name a few) all sport distinctive characteristics. The stems curve back in a semi-circle or extend forward to produce a long “torpedo” shape. The sheer-line curves to produce high ends in the canoe. This high sheer-line means that the solid wood in the decks must be bent to follow the curve. Also, the ends of the inwales and outwales must also be bent to match the sheer-line curve. 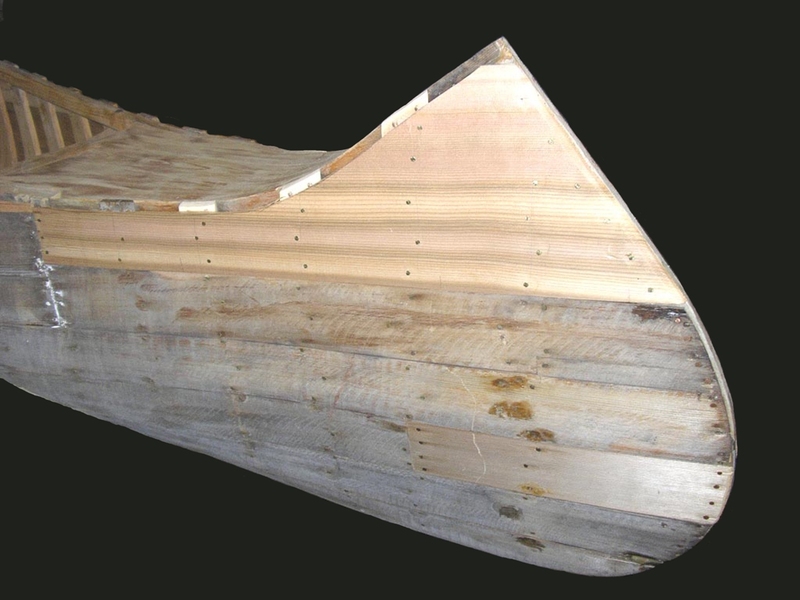 Restoring canoes with high sheer-lines can be very challenging. I replaced the outwales in a Chestnut Indian Maiden. The extreme bend required to follow the sheer-line necessitated building a custom bending mold for the outwales. When forcing such a large bend in outwales, they have a tendency to twist or collapse. 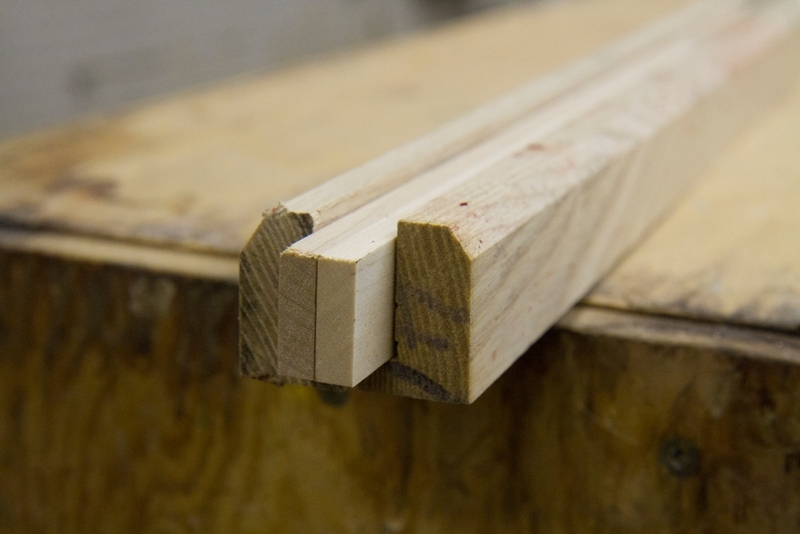 To avoid this, prepare a support batten that fits in the outwale rabbet. Make the bending form wide enough to accommodate both outwale-ends at the same time. You have an “outwale sandwich” with the support battens in the middle. 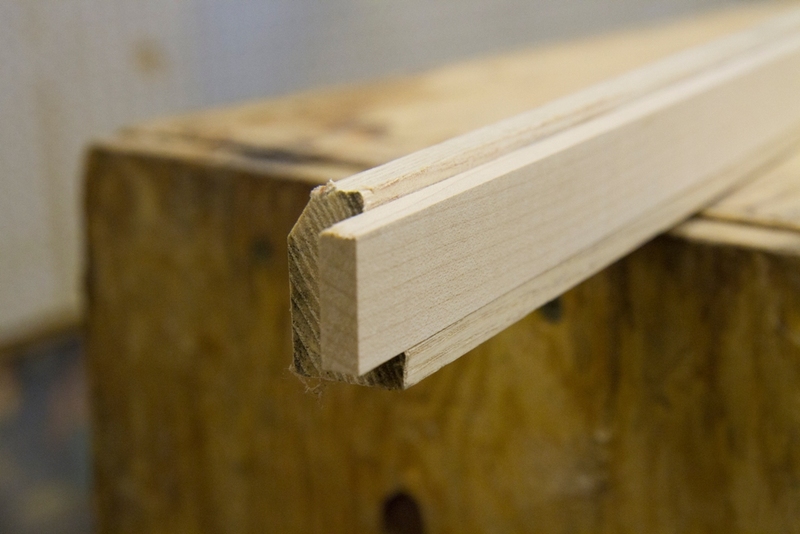 The bending form must allow have enough “over-bend” to allow for some “spring-back” when the wood is released from the form. Follow the instructions for making and bending outwales that are presented in my book. Soak the wood (usually ash, white oak or mahogany) for three days — this includes the support battens as well as the outwales. Clamp the outwale sandwich into the curved end of the form. Then, pour boiling water over the soaked wood and bend the outwale sandwich onto the form. Firm, steady pressure brings the wood into place on the form. Allow the wood to dry for about a week before releasing it from the form. Attaching new planks to the ends of the canoe requires two people. I had an assistant hold a small axe-head against the ribs on the inside of the canoe at the ends while I hammered the tacks. The axe-head is an improvised clinching iron that can fit into the narrow ends of the canoe. Fit the newly bent outwales onto the canoe and sand them smooth. This makes sure the edges of the outwales fit exactly with the curve of the inwales and decks. Remove the outwales and apply stain, shellac and varnish as per the instructions in my book. Once completed, your fancy wood-canvas canoe is a delight to behold. 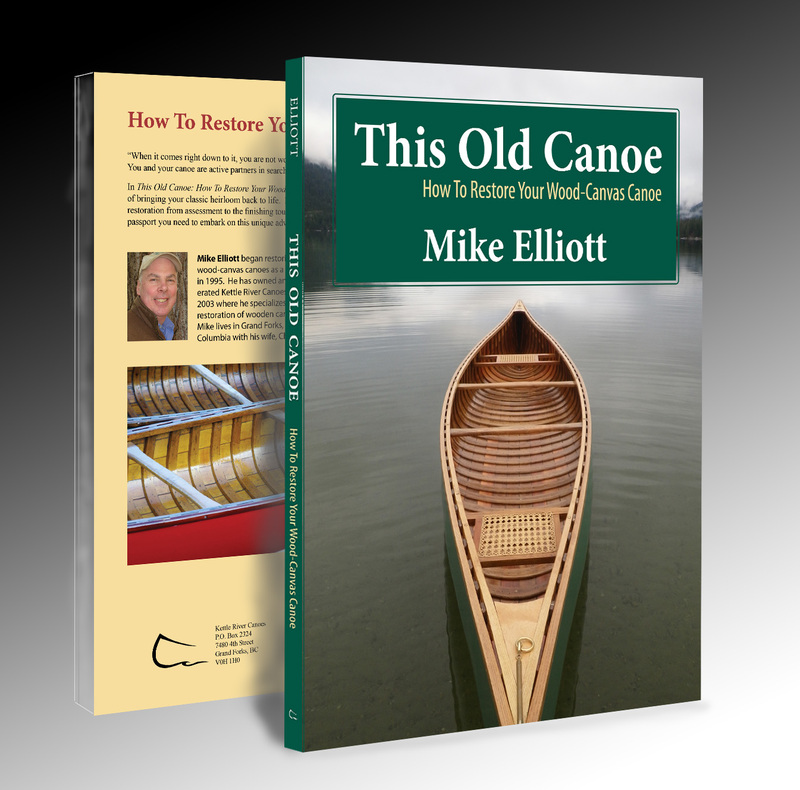 Be sure to get your copy of my book – This Old Canoe: How To Restore Your Wood Canvas Canoe.